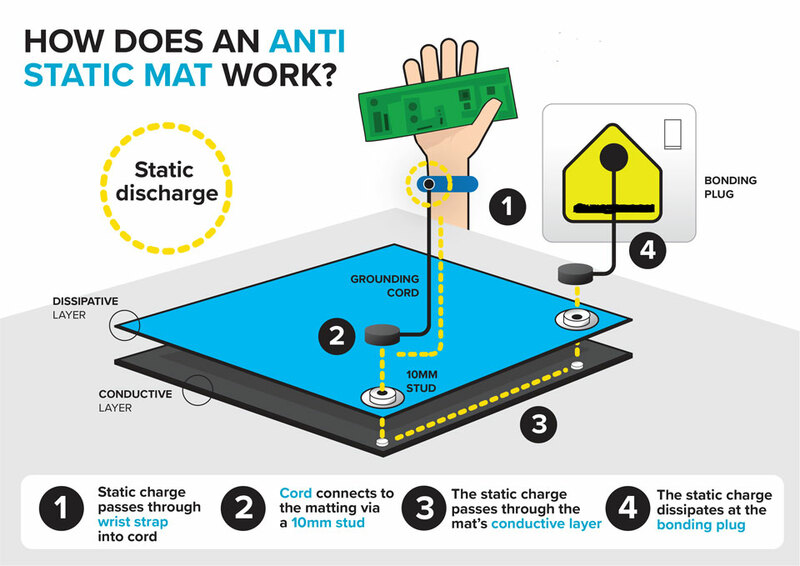 Our static dissipative grounding anti static floor matting comply with EOS/ESD-S4 regulations and bench anti static mat products comply with IEC 61340-5-1. They prevent minor shocks whilst working with electronic components and materials that create static build up. The rolls, mats and interlocking floor tiles give a complete range of options in combating static in all kinds of environments. 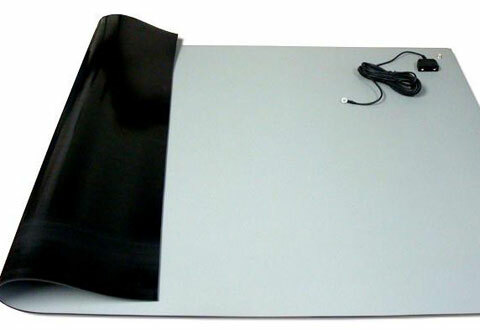 Benchtop anti-static matting is double / triple layer static ESD rubber rolls & custom cut mats with FREE studs. They prevent minor shocks whilst working with electronic components and materials that create static build up, and supplied with or without FREE studs. The 2mm thick static dissipative matting has high aesthetic qualities combined with excellent heat / chemical resistance. The characteristics include - dissipative surface resistivity, static decay rate complying with accepted standards, durable and flexible with excellent lay flat properties. The surface resistance and resistance to ground is: 5 x 10∧6 - 5 x 10∧8 Standard IEC 61340-5-1. The charge decay time is: FTM 101C No: 4046 (5000v - 500v) <0.009 sec Blue, Grey or Green. PPE, plugs, cable, stud guns & studs are also available. 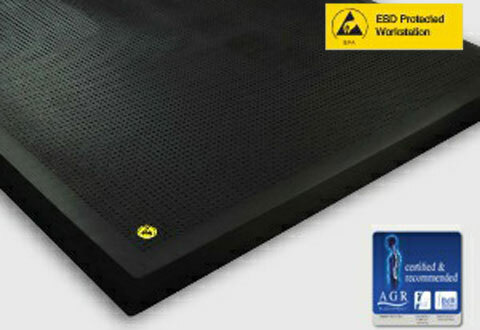 Cushion anti-static matting is ESD static safe floor grounding PVC foam matting available in rolls & mats. It is tested to comply with EOS/ESD-EOS/OSD-S4 regulations to protect workers and components from static electrical transfer shock - with excellent anti-fatigue properties and bevel edges to 2 sides to reduce trips. This is an ideal anti-static product for use in production areas where static electrical transfer could be an issue. Available in 18.3M rolls x 91cm at 12mm thick. Custom cut mats are also available. 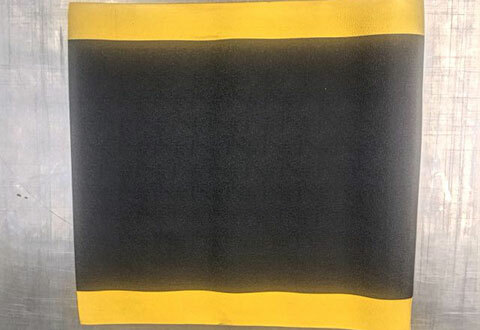 Protek anti-static mats are ergonomic all rubber mats which have the anti-static property but are also exemplary anti-fatigue mats, so are the perfect solution when working with electronic equipment at benches or workstations. Available in single mats 135cm x 100cm x 16mm but also can be supplied in puzzle cut format to cover larger areas. Anti-static interlocking PVC tiles are ESD tested floor tiles with a high quality PVC soft feel. The compounds used comply with IEC 61340-5-1 for the life of the product. These ESD tiles are made to be used in areas where electronic components are being made or assembled, or sensitive areas where static would be a hazard to safe working practices. A full range of tapes and earthing kits are also available. They are available in 50cm x 50cm at 7mm thick in colour grey. 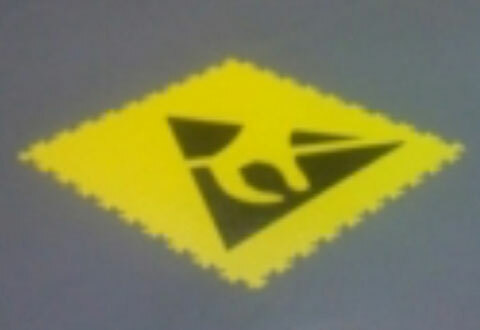 A printed yellow anti-static symbol tile is also available.